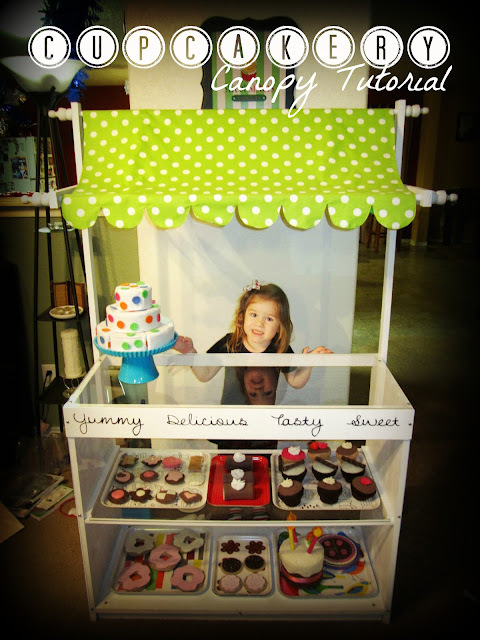 I previously posted about the Sweet Sisters Bakery stand that my husband and I had made for our girls for Christmas. The entire thing was just an experiment but we're happy with how everything turned out. I wasn't really sure how to do the canopy. I just winged it really. 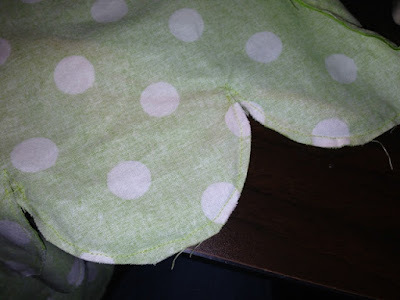 So, for all of you really gifted at sewing I'm sure there might be an easier way to what I did but just know I go for the results and I'm learning the techniques along the way. 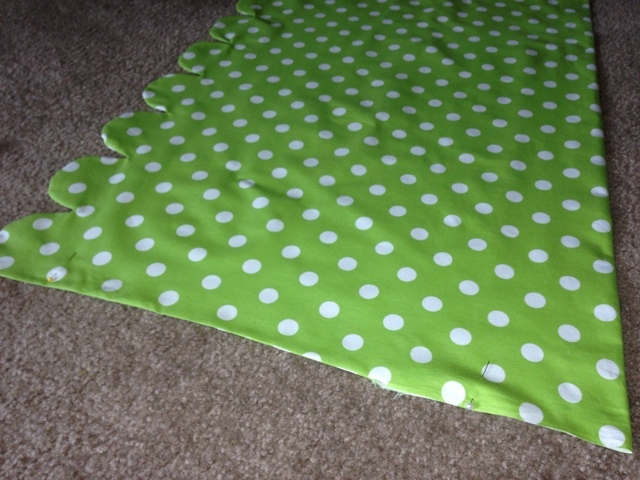 I made it with a scallop edge on one side with four straps underneath to tie it to the two dowel rods that it rests on. 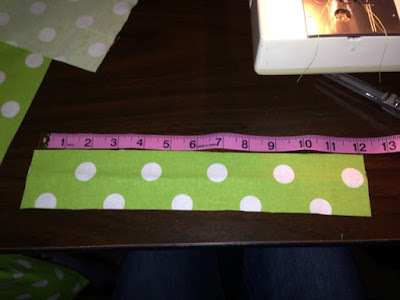 Start with your fabric cut to the length you need it to be. I just threw a piece of fabric over the two dowels to where I would like it and then doubled it. Place it right sides together. Draw your scallops onto one edge. This is the wrong side of the fabric so you don't have to worry about it showing. I did this by measuring my width dividing by how many scallops I wanted (it ended up being 8) and then you get the approximate width of what each scallop should be. I drew one that length and then just traced it repeatedly next to one another the whole width of the fabric. After you trace it's time to sew along your scallop edge. Next, you need to cut all the excess fabric off from around the scallops. Now this is where my novice ness shows and it seemed to bunch up for me, so I REALLY had to go in there in the little nitch between each scallop so it didn't gather up. It took some time but after working at it and then ironing it down I think it turned out okay. Next, I top stiched all the way around, leaving a large gap open, so I could sew on the tie backs. For the tie backs you just need a long, fat rectangle. Sew down the side. Cut the excess off, flip inside out and iron flat. 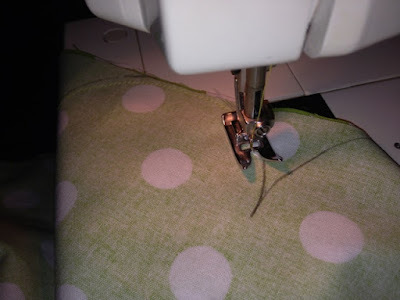 Then flip the ends underneath and top stitch those down. Now make 3 more. Now take those 4 ties and take your piece of fabric. No rocket science here, but place the fabric over the two rods see where you want it to sit and then pin them where you want. Make sure to pin in to one side. Then sew them on, only going through one side. 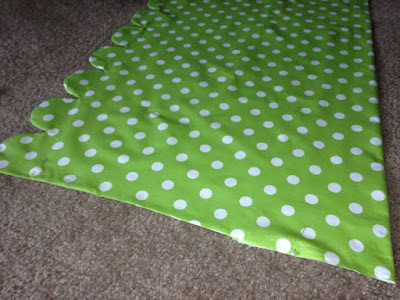 After you sew the steps on turn the whole canopy inside out and then turn in the last edge, pin and straight stitch the seam closed. 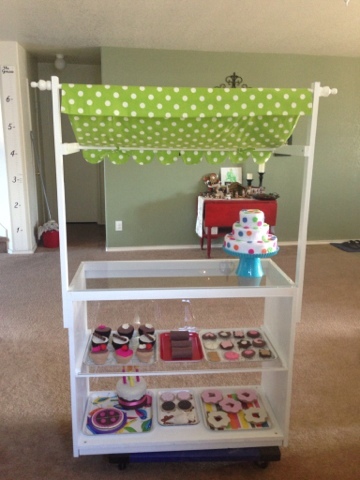 I should have taken picture when I attached the ties but what I did was throw the canopy on the top. Lined up where I wanted them to be and just pinned them on. Then I just opened the large piece up and stitched the ties onto the back side only, so not stitching shows on the top. 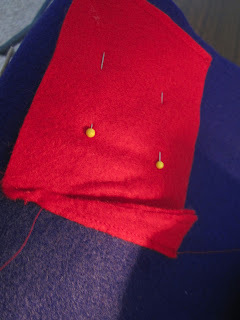 Once my four tie backs were sewn on I turned last edge under on the side and top stitched it all the way closed. And viola! All done! Happy sewing and God Bless! Here is another quiet book installment for you. This is the S'mores part of our camping pages. 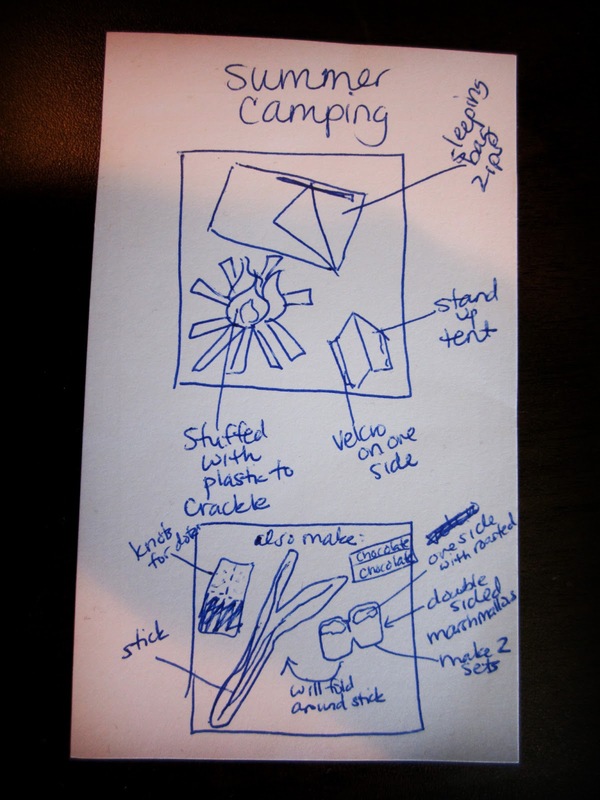 You can see it goes along with the camping tent page, which I will post later. This is a fun page because you can really toast the marshmallow over a standing up fire. And then make a delicious s'mores with it. 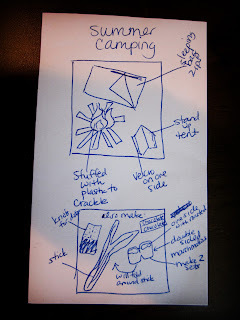 Here were the plans I started making along the way. 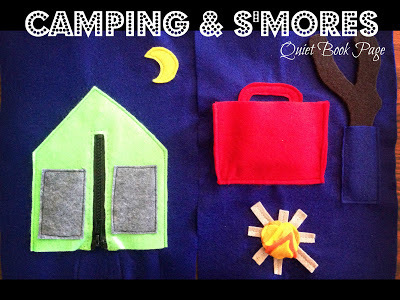 I originally wanted to make a tent and sleeping bag on the same page as the fire but things always seem to change as I start going along. 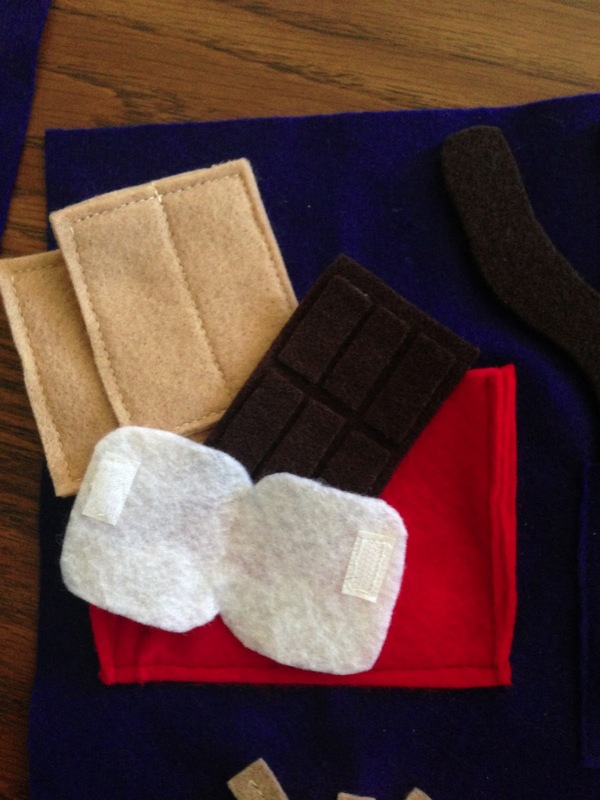 Start by gluing all the tedious rectangles on your bar of chocolate and the flames for your fire. Here I sewed together the tan graham crackers as well as the toasted part on the marshmallow. Make sure to leave the other side of the marshmallow white ( I actually forgot to switch my bobbin and so the thread is tan on the back. oops, showing a little bit of my laziness to switch out my bobbin). But the point is you want one side white and one side toasted so after you put it on the fire you can switch it. Next, start on the stick. I found a nice shape and then I traced it onto cardboard from an old cereal pizza box. You don't want it too flimsy. 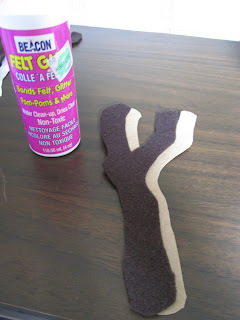 Trace the same shape onto the brown felt, twice. Grab out your glue again and glue it together with a felt piece on the front as well as the back. 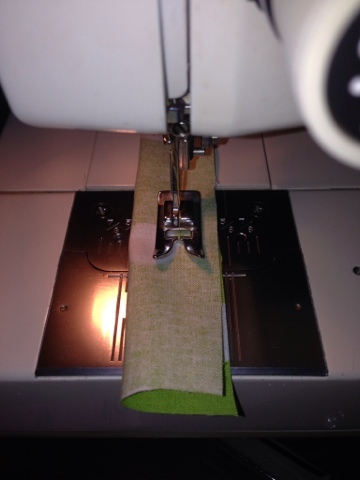 I sewed the triangle sides onto what will be the front of the bag. 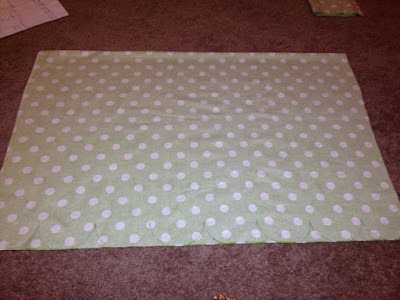 Then I just pinned that down as straight as I could before sewing it down onto the page. Here's a picture of how much space that added to my bag. You don't have to choose to do this you could always come up with a zipper pouch or something else to store your s'mores fixings into. Then add the handle underneath the top edge of the bag. And once you've spent about forever making all this happen you will be super excited to show your kiddos all your hard work, and maybe even plan a family camping trip to reveal this page on your trip. Happy crafting and God Bless! Here's another random act of kindness for you: I was at our local Target but you can do this at any store that has candy next to the check out....okay so pretty much EVERY store. 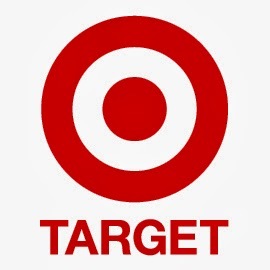 I just learned the cashier Heather W. at our local Target's favorite candy bar is Take 5. All I did was ask what her favorite candy bar is, then bought her one as I checked out. Hope you enjoy your well deserved treat Heather! And if I bump into you ever again, I won't even have to ask, but you can expect you'll be getting another Take 5. This is part of our Random Acts of Kindness Campaign. Check out the original post to find out more. Today, I started off like any day: with my list of things I needed to get done, one of which was the grocery store. So, I packed the kids up and headed to HEB. As we walk in I see someone walking out with a bouquet of flowers...an idea is sparked. So, I ask Kara "You think we could bless someone with some flowers today?" An enthusiastic, "Yes, mom!" was the response I received. So upon entering we go by the flower section and pick up a cute, small bouquet. We carry it around thinking of how we could possibly pass this blessing on to someone and to whom, as we pick up our groceries. We check out and start walking to the car. We are parked right in the front, so we pull up to the car. Still waiting on what we should do with these flowers. I look down our row of the lot and there they are. Just while we were inside shopping I saw two ladies with some children. While some might say they were having a difficult time with their kids, I would just say they were having many opportunities of training at the moment. You could sense their frustration. You knew they had things to accomplish on 'their list' the same as you and me, so I could feel for them. They're just trying to get the grocery shopping done and the kids are making more difficult then planned. We saw the confrontation and the reprimand and like anyone else I was secretly praising her in my head for disciplining her child in public, which so many parents seem afraid to do now a days. But we casually stroll by in search of some butter, and think nothing of it. 10 times and we tell her that we just hope they have a blessed day as we casually walk back 4 cars over to load my car with the groceries we just purchased. I don't know whether it was because of the lady's overwhelming gratitude or seeing my 4 year old daughter so eager to participate in loving like Jesus would love that made me almost loose it, but all I know is I'm addicted! I'm addicted to a life of looking and searching out for ways to make a difference and to love like Jesus wants us to love. I'm not going to any more just walk through life just doing 'my list' but rather I'm going to wake up and say, "Lord, I have some things to accomplish today but I hope and pray you will place people along my path that I can be a blessing to. Help me be attentive to see them and to actively plan to leave a love trail behind me." So, my challenge to you is buy some flowers and bless someone's day. We recently started a random acts of kindness series at our church and I thought I'd share a little bit of our journey along the way of this thing. 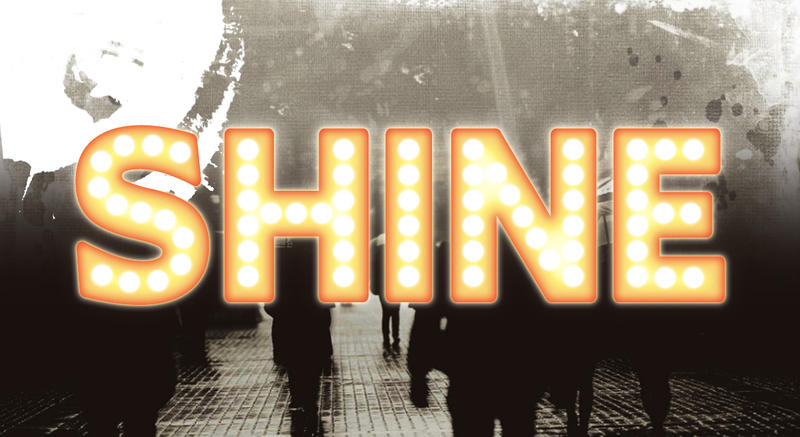 Our series at Northpoint Church is called "SHINE". In Matthew 5:16, we are called to "let our lights shine before men that they may see our good deeds and praise the Father in Heaven." I find this scripture inspiring because MY good deeds can point someone to HIM. When someone is having a rough day or feel like the world has nothing but hate and depression to offer them, a random act of kindness can make them feel loved and hopefully reminded that the higher power hasn't forgotten about them!! Along with this series we are starting a campaign called "Light Up New Braunfels". The purpose of the campaign is to perform random acts of kindness around our city of New Braunfels, showing our "light" in the darkness. We have cards that we pass out with our act of kindness. On the back it has 10 check boxes and it states "Kindness. Pass it On." The hope is that they, by receiving an act of kindness will be encouraged to pass on another act of kindness to someone else. We could all use a little bit more love and kindness in our life. What I love about this campaign is that our goal is not to grow our church, or even to necessarily win hearts to Christ (although that would be fantastic and we do pray for that), our goal is just to show the love of Christ to someone and we by doing that are promised by the Word that we will plant a seed that will point them to Christ. 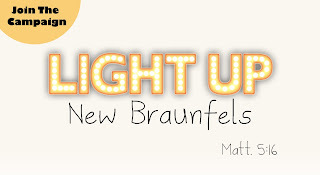 So, if you're thinking of doing something similar at your church or as a family I'd encourage you to check out the website I designed for this series at LightUpNewBraunfels.com. 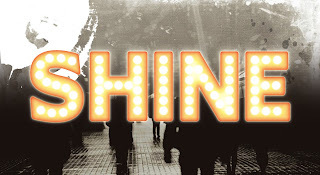 It explains the concept of everything, showing ideas how you can be a "light" in your city and let's you share your experience. So, please join me in this dare to show kindness for the next 6 weeks. My goal is to do something whether it be small or big every day. I hope to be posting some of our acts of kindness to if anything help spur on some more ideas of what you and your family can do to make a difference in this world. Here another quiet book page idea for you. 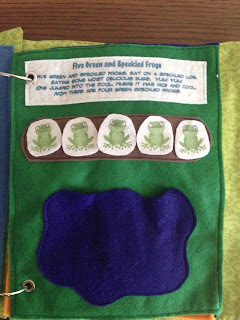 I came across these free adorable frog printable and HAD to make a page for them. 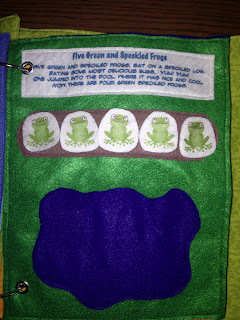 If you've grown up never having sung 'Five Green and Speckled Frogs' you have sorely missed out! My girls LOVE the song and it's a relatively easy page to do so, I jumped on it! Get it...jump, like a frog..okay, moving on. I didn't take picture on this one again, since it's been awhile since I made it. 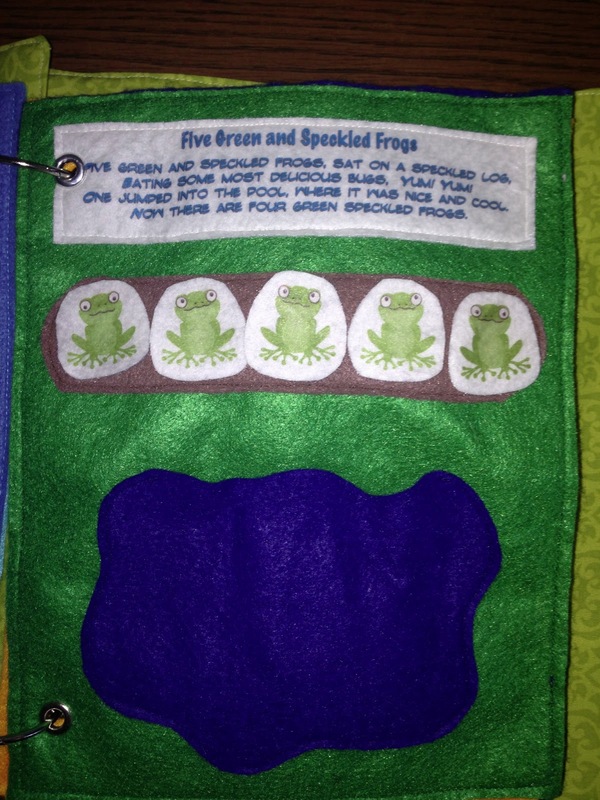 But all you need to do is make a log (large enough to fit all five of your frogs) and a pond (be sure to leave the top open for the frog storage). Then use the tutorial on how to make your own custom printed felt to make the frog figures and the poem. I just typed the poem up in word and printed it like in the tutorial. 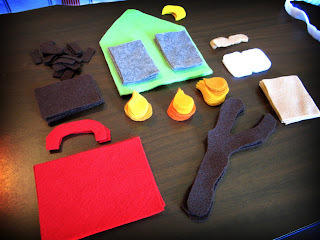 After that all you have to do is sew it all together.